ARSENAL AND Aston Villa face off in this year's FA Cup Final at Wembley Stadium on Saturday evening (May 30). The Gunners have, of course, proudly held the trophy for the past 12 months and will be looking to retain the trophy for the second time. Aston Villa's wait for an FA Cup has been rather more substantial. The Villans last lifted the illustrious trophy in 1957 but with Tim Sherwood's men securing Premier League survival with a week of the season to go Villa can now turn their attentions to ending that run. Arsenal Wenger's north London outfit will start as favourites. In their ranks they have match winners such as Alexis Sanchez, Mesut Ozil and Santi Cazorla. Add the likes of Theo Walcott and Olivier Giroud and the holders will be optimistic. The Midlanders will rely on the verve and drive of captain Fabian Delph, Tom Cleverly and in-from striker Christian Benteke. It promises to be an exciting clash as the domestic season in England comes to a conclusion. 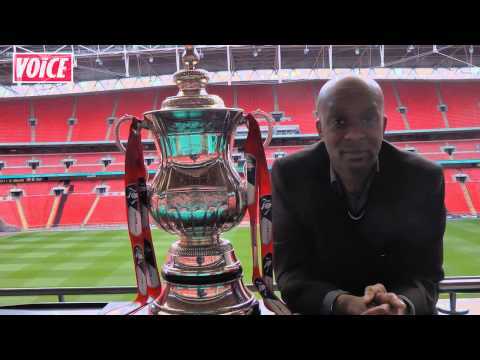 The Voice of Sport goes behind the scenes at the home of the FA Cup, the Mecca of football which is the world famous Wembley Stadium.